I love the art on the subway stations, especially the tile mosaic ones. They are so intricate and detailed and when every piece is in place they make art that's pleasing to the eye. I have a lot of favorites, from the animals at the Museum of Natural History stop to the whimsical figures on the 23rd Avenue station. 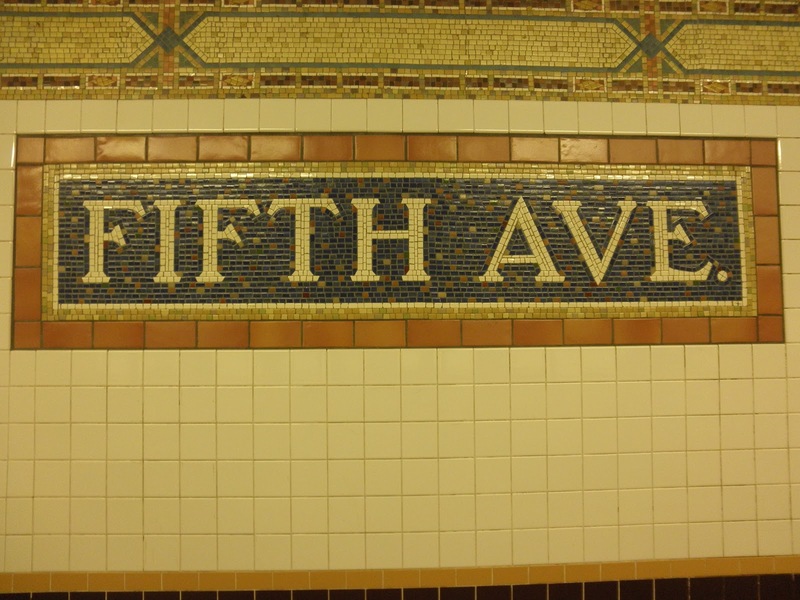 I also love the ones on the Fifth Avenue station and I will write about those today. 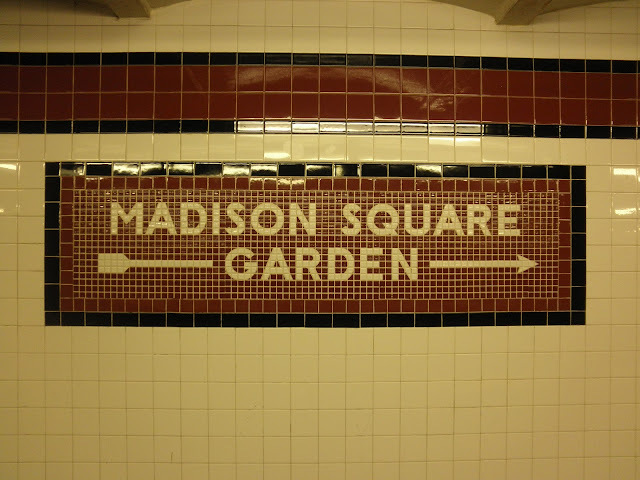 Since a typical New York subway train consists of about ten cars, it usually spans two city blocks from beginning to end so that the names of each subway stop are found in several places in that two block stretch. 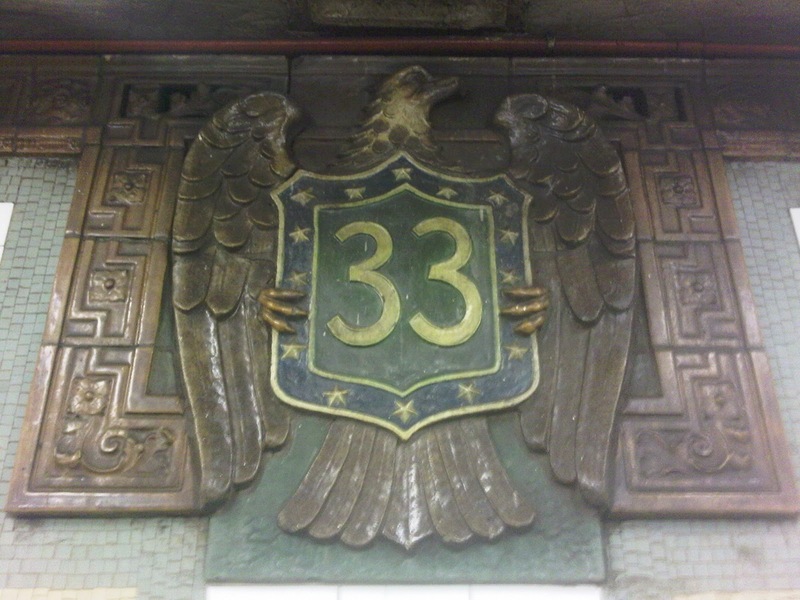 Sometimes they come with a figure, like the eagle at the 33rd Street stop. 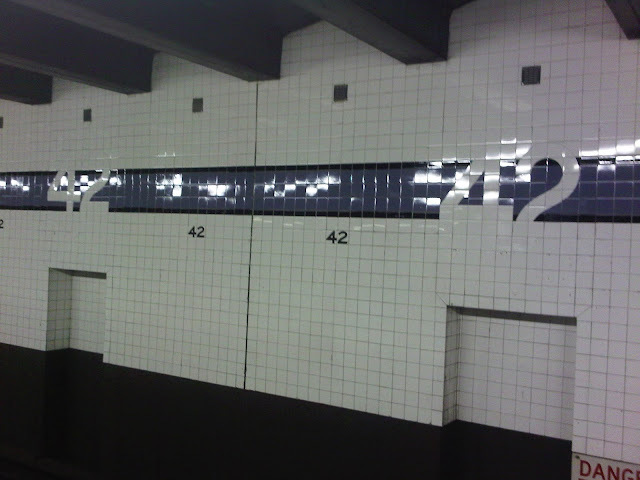 Some of the more recent ones, like this stop in one of the 42nd Street stations are made of big tiles. Some have the names of places, like this mosaic at the 34th Street subway stop which is like a guide to people going to Madison Square Garden. But most of the station signs are made of tile mosaics, like this sign on the Fifth Avenue/59th Street subway station. The Fifth Avenue/59th Street stop is near the southeast part of Central Park, where the Central Park Zoo is located, maybe that's why the art on this subway stop is that of animal families. 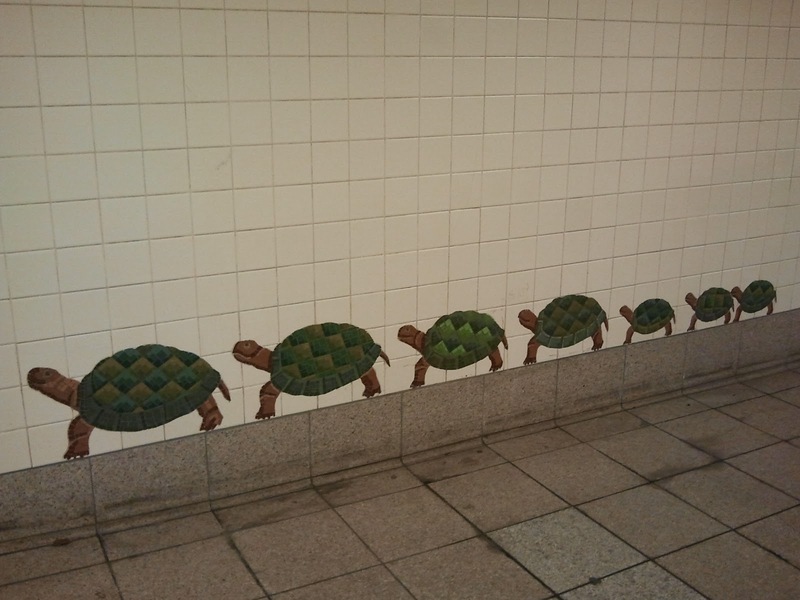 After the pictures of the subway art, I'll post below it pictures of the same animals taken at the Park or at the Central Park Zoo. 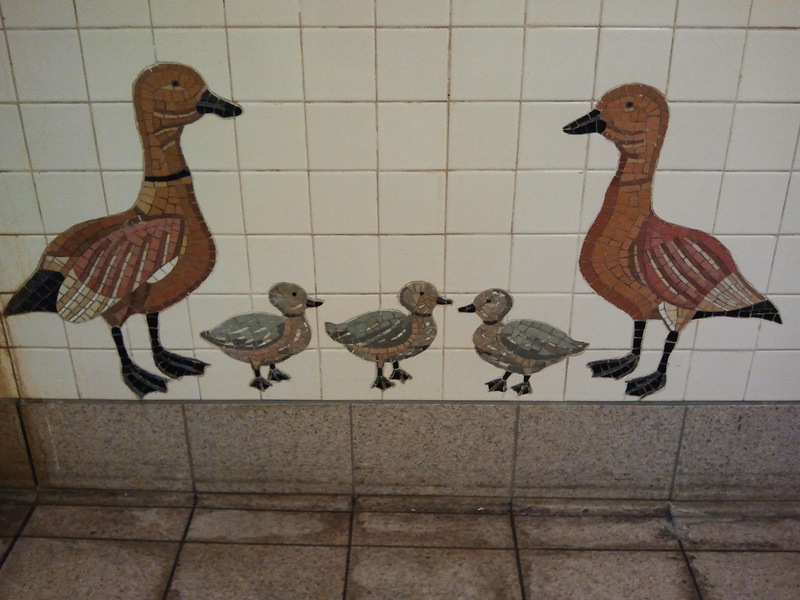 On the path leading to the subway at the east edge of the park are tile mosaics of the two animals commonly seen in the Pond at the park, a bale of turtles ..
and a flock of ducks. 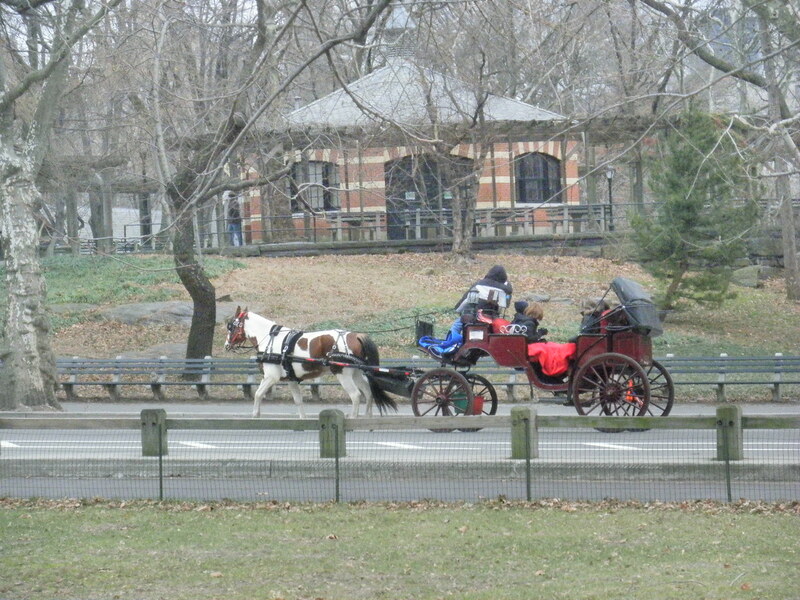 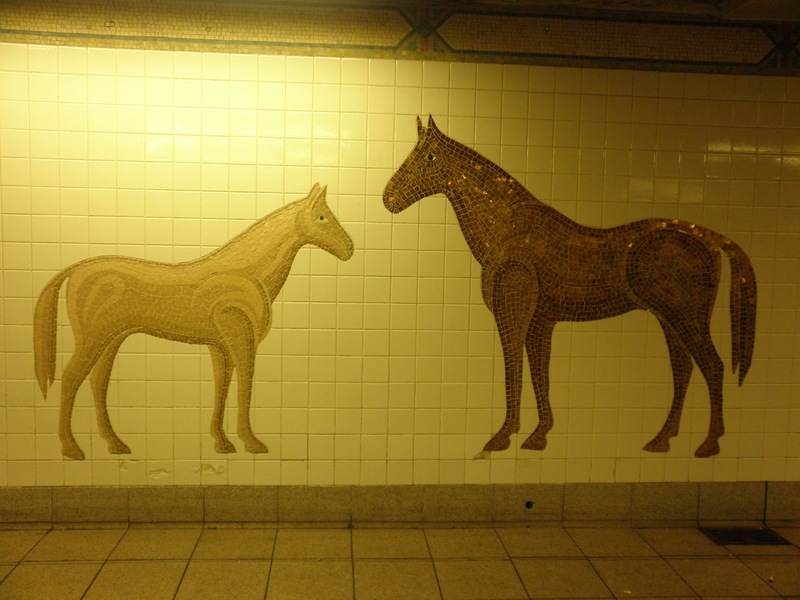 As you go down the subway, near the personnel booth, you will see these horses. I think they are there as a salute to the horse-drawn carriages going around the park. 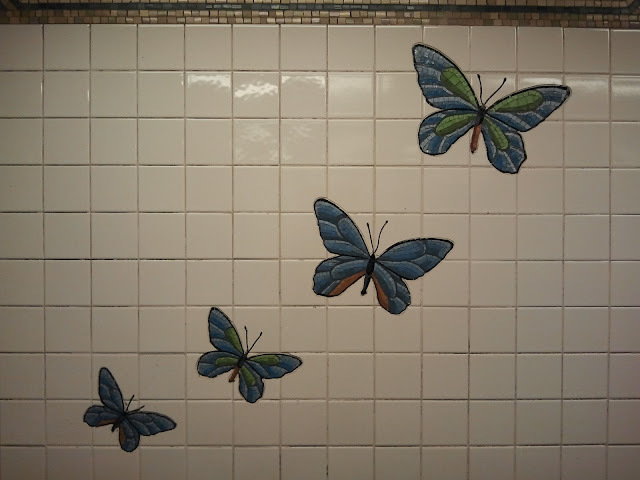 Near the stairs are these butterflies, which are often seen in the park, most often at the Conservatory Garden, when the flowers are in bloom. Also near the stairs is this troop of monkeys. 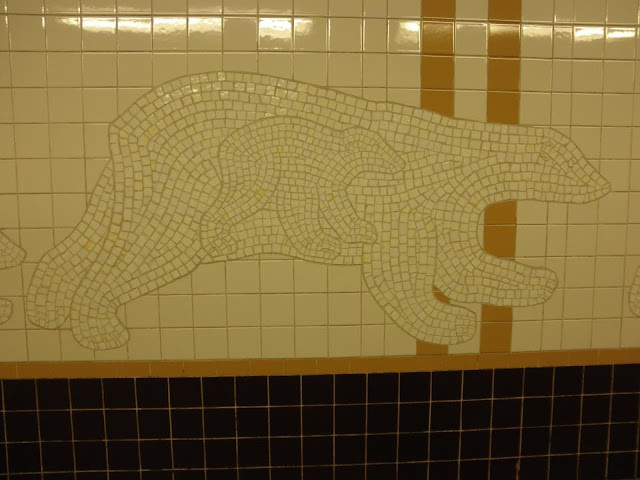 The picture below this subway art is that of the marmosets at the Central Park zoo. 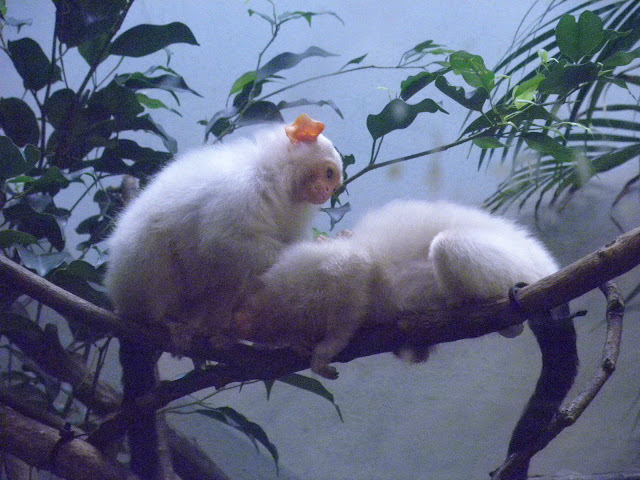 There are monkeys in the zoo but I didn't take a picture of them when I was there, probably time to go visit the zoo again. 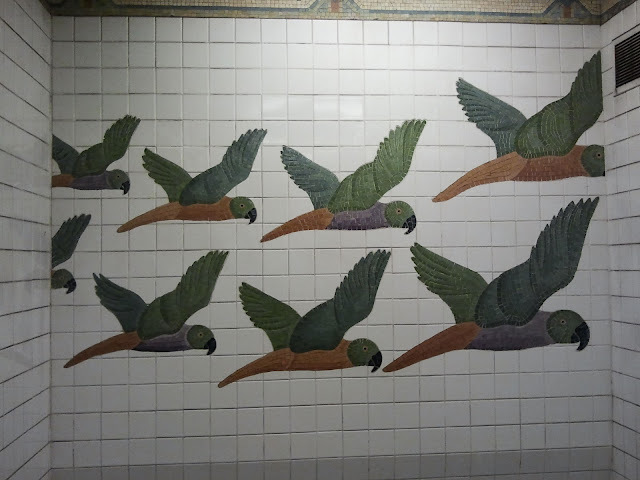 On the stairs going down the subway is this company of parrots. Hmm, no picture of a parrot, either, but I have a toucan which is also a tropical bird. 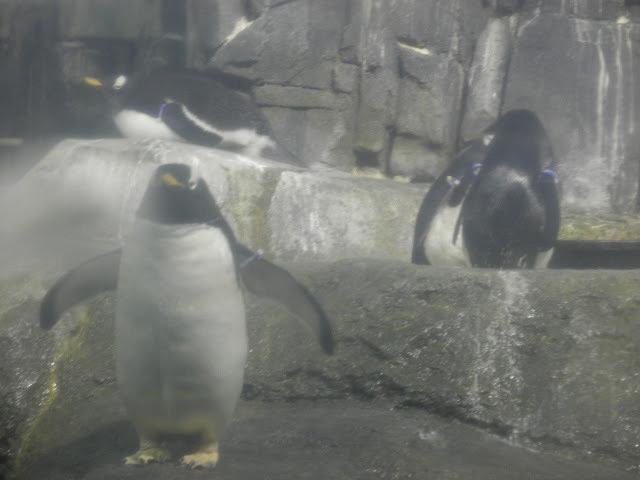 Definitely time to visit the zoo again. 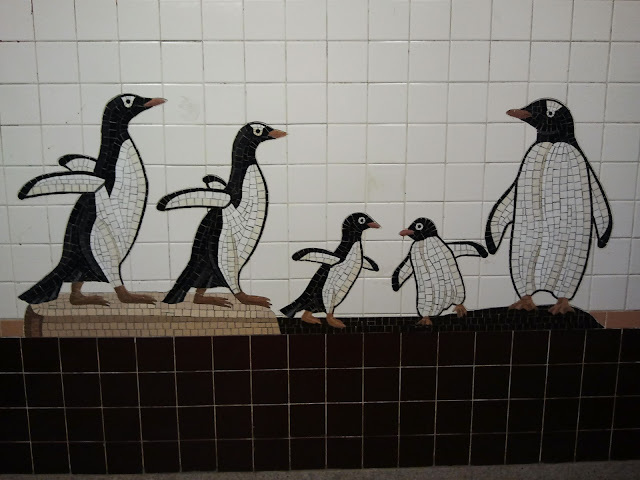 At the bottom of the stairs is this colony of penguins. 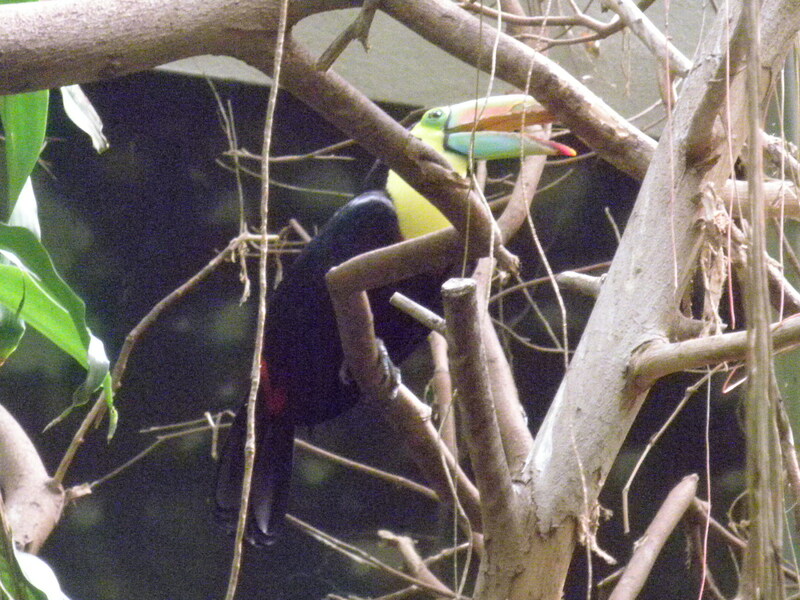 They are a hit at the zoo, too! That's Ida in the picture above. 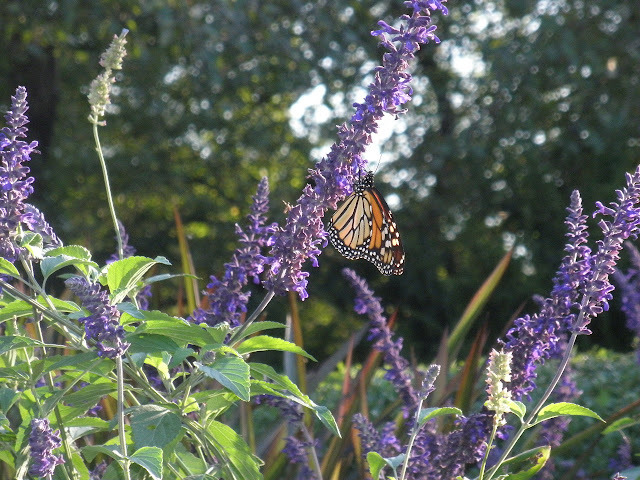 She can often be found in this area checking out the visitors. 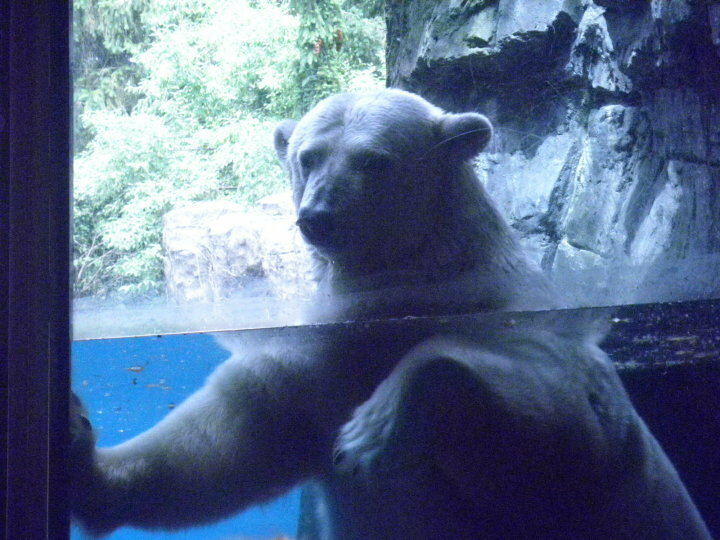 I took this just a few weeks before she left for polar bear heaven. 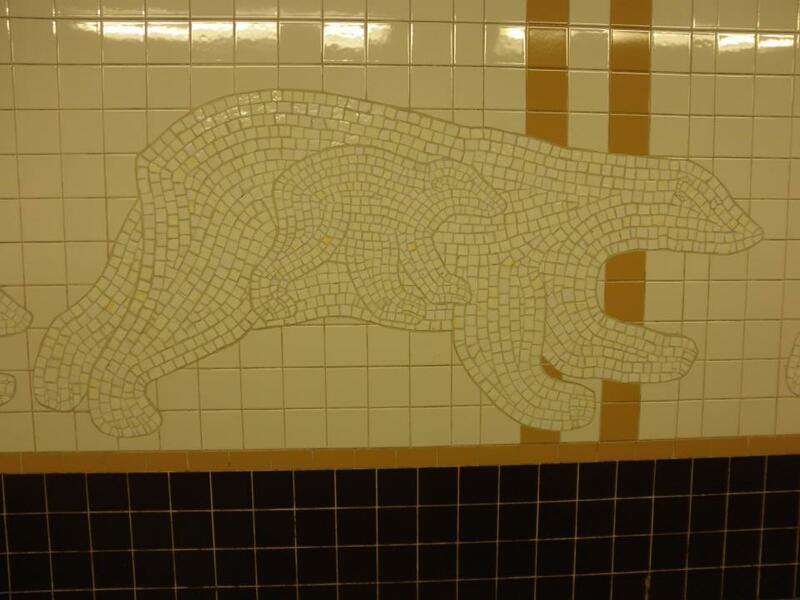 But there is one tile mosaic on the Fifth Avenue/59th Street station wherein I don't have a picture of the actual animal. 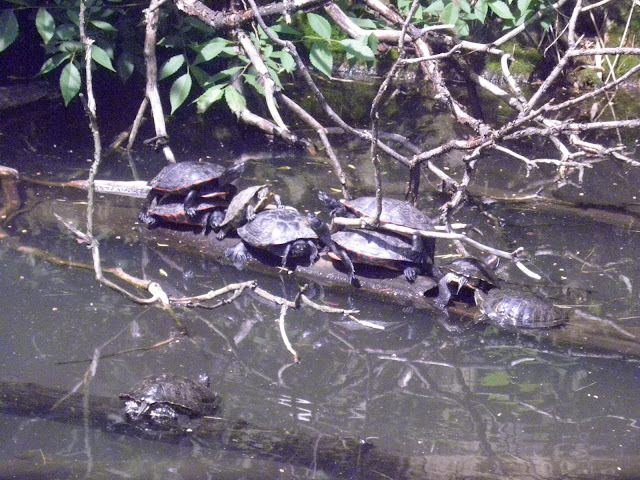 In fact, I don't remember seeing them anywhere in the Park, probably the ducks or turtles got to them before anyone is aware they're there. 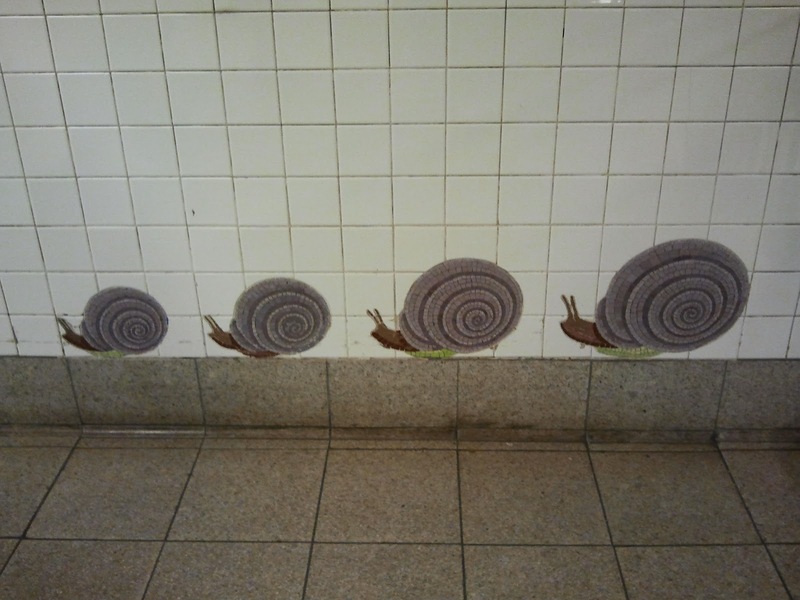 It's really time to visit the zoo again, and who knows, I just might find a rout of snails around the corner. Love these pictures...I have never noticed the mosaics before but then again I havent used the subway much. 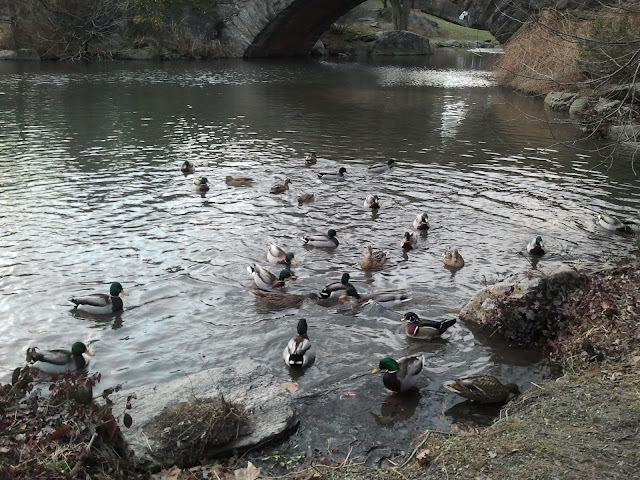 I will endevour to see them next time I am in NY. So sad about IDA....I love Polar Bears and Penguins too!